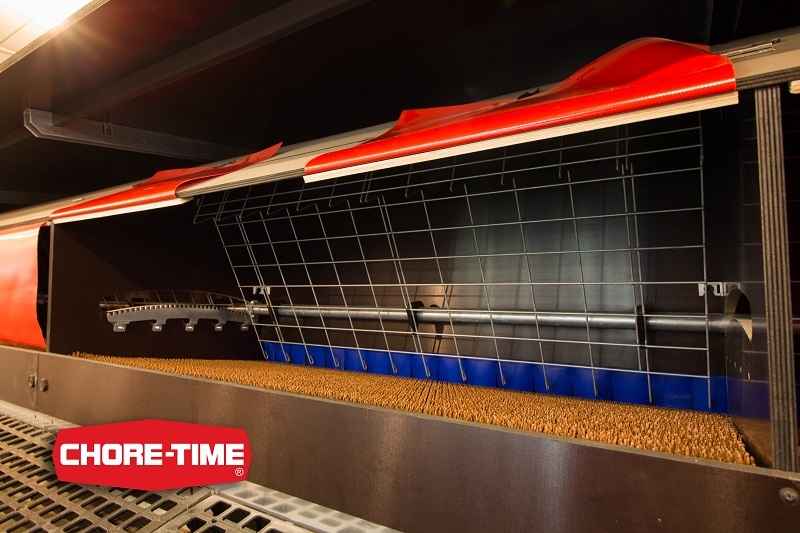 A system that is suitable for both floor and integrated nests has been introduced to the UK by Chore-Time. The Valego Nest System is now available through the global company following its acquisition of the Volito Group, a Netherlands-based designer and manufacturer of cage-free egg production systems. All nest configurations use a common platform, providing a wide range of options. They can be configured as highly efficient rack-drive expulsion (RDE) systems, with either flat or pitched roofs. They are also available with moveable-floor expulsion (MFE) systems. All styles offer easy installation and maintenance, requiring only common tools to construct. Smart ‘click & fix’ nest walls and roofs further simplify installation, as well as maintenance and repair work. High-quality materials are used throughout the nest system walls and roofs are made with durable, A-grade, film-faced plywood, said the firm. This provides a sturdy and quiet environment for birds, which is also easier to clean and more durable than a plastic or steel construction. The galvanised steel frame is assembled using Taptite screws, and the adjustable legs are constructed entirely of stainless steel. The nest systems also use AstroTurf pads for improved hygiene. Accessories include variable-speed drive units, classic or brush-style return units, collection tables, conveyors and elevators.